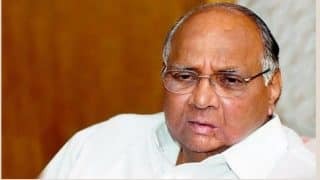 Sharad Govindrao Pawar commonly known as Sharad Pawar is an Indian politician and the founder and president of the Nationalist Congress Party (NCP) which he formed in 1999. 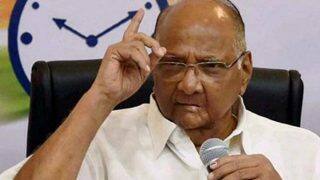 In his political career, Pawar has held key positions in state as well as national politics. 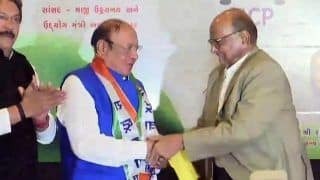 He hails from the town of Baramati in Pune, Maharashtra and currently is a member of Rajya Sabha and he represents the NCP delegation in Rajya Sabha. He has served as the Chief Minister of Maharashtra on three different occasions (1978-1980, 1988-1991 and 1993-1995) and he was the youngest Chief Minister of Maharashtra and first held this post at the age of 38. He has also held the posts of Minister of Defense and Minister of Agriculture. He was the Chairman of Board of Control for Cricket in India (BCCI) from 2005 2008 and held the prestigious post of President of International Cricket Council (ICC) from 2005-2008, succeeding England's David Morgan. 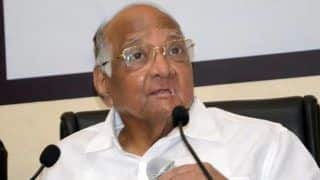 He was the president of the Mumbai Cricket Association from 2001-2010, 2012 and was re-elected for the post in June 2015.Sharad Pawar was born on 12th December 1940 to Shri Govindrao Pawar and Smt. Shardabai Pawar. He has five brothers and four sisters. 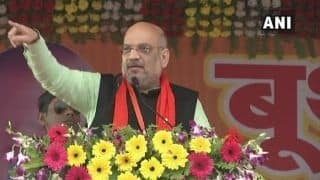 His father worked with Baramati Farmer's Cooperative also known as Sahakari Kharedi Vikri Sangh and his mother used to take care of the family farm. 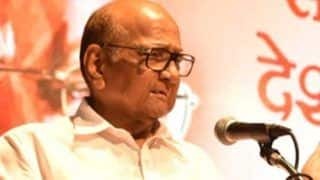 Sharad Pawar studied in a school under the Maharashtra Education Society and later studied in Pune at the Brihan Maharashtra College of Commerce affiliated to the Pune University. 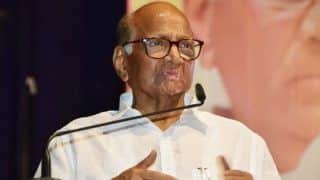 From his school days itself, Sharad Pawar had a keen interest in student politics and his active participation in debates driven by his dynamic speaking style and his ability to arrange outdoor activities were all early indications of his leadership qualities. His first step in politics was during the protest march of 1956 for the Goa Liberation Movement. Pawar actively participated and organized the protest march representing the student leadership at Brihan Maharashtra Commerce College (BMCC) as the General Secretary. This marked his entry into politics and soon he got associated with Youth Congress. 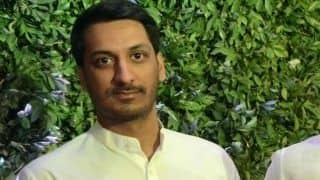 After being associated with Youth Congress, he came in contact with Yashwantrao Chavan. Yashwantrao Chavan is considered as the architect of modern Maharashtra and he recognized Pawar's potential as leader and eventually Sharad Pawar became the leader of Youth Congress. He was also a member of Maharashtra Pradesh Congress Committee. With Yashwantrao Chavan as his political mentor, Pawar entered the Maharashtra Legislative Assembly for the first time in 1967 representing Baramati. From 1972 to 1974 he was the Minister of State of Government of Maharashtra for Food, Home, Civil Supplies, Publicity, Rehabilitation, Sports and Youth Welfare. From 1974 to 1978 he became the Cabinet Minister of Agriculture, Home, Education, Industries, Youth Welfare and Labour under the Government of Maharashtra. 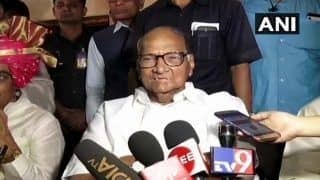 In 1978, Pawar broke away from Congress and formed a coalition government with the Janata Party to became the Chief Minister for the first time. However, this alliance did not run for a long time and the Indira Gandhi Government came back to power in 1980. Pawar became the President of Indian National Congress (Socialist) in 1983 and in the year 1984, he won the Lok Sabha election for the first time from the Baramati Parliamentary Constituency. Pawar won the state assembly election of March 1985 for Baramati and decided to continue in state politics and he resigned from Lok Sabha. Pawar became the Leader of Opposition. With the reason to save the Congress culture in Maharashtra, Shard Pawar returned to Congress. In 1988, Sharad Pawar became the Chief Minister of Maharashtra. In the 1990 state assembly elections, Congress fell short of an absolute majority winning 141 seats out of 288 seats. With the support of 12 independent MLAs, Sharad Pawar was sworn in as the Chief Minister of Maharashtra. 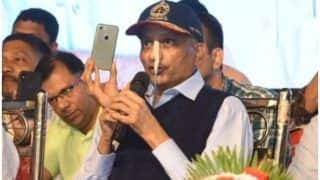 In 1991, he was again elected in the 10th Lok Sabha and from 1991 to 1993 Pawar served as the Defence Minister and in 1993, he became the member of Legislative Council of Maharashtra and was sworn in as the Chief Minister of Maharashtra for the fourth time. From 1995 to 1996 he was made the Leader of Opposition of the Legislative Council of Maharashtra and in 1996 he was re-elected for the third term in the 11th Lok Sabha. 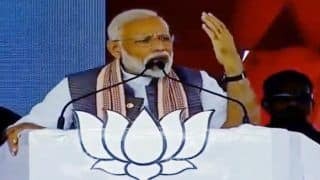 In 1999 after the 12th Lok Sabha was dissolved and the 13th Lok Sabha elections were called, Sharad Pawar along with P. A. Sangma and Tariq Anwar demanded that the Congress party needed someone native born as the Prime Ministerial candidate and not Italian born Sonia Gandhi. 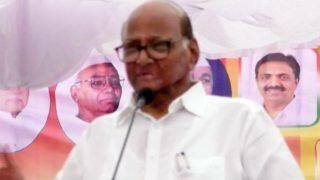 Sharad Pawar made an exit from the Congress party and along with P.A. Sangma formed the Nationalist Congress Party. 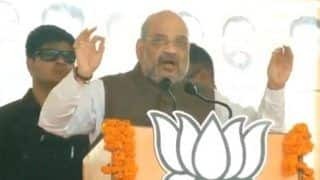 As neither party in Maharashtra were able to gain an absolute majority, NCP supported Congress in Maharashtra but Sharad Pawar did not return to state politics and made Chagan Bhujbal as the deputy Chief Minister in Maharashtra. After the 2004 Lok Sabha Elections, Pawar joined the United Progressive Alliance (UPA) government as the Minister of Agriculture. He was also the Vice President of the Parliamentary Forum on Water Conservation and Management. 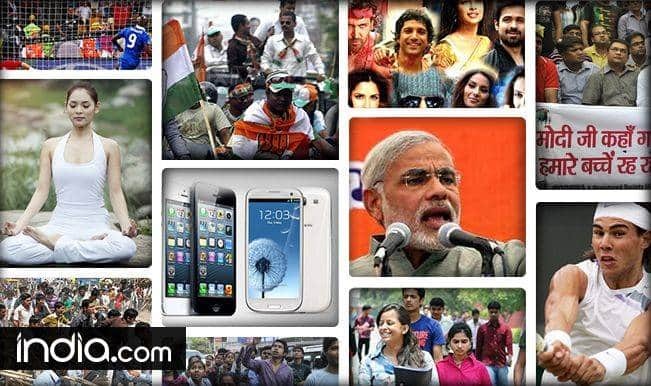 In 2009, he was elected for the seventh time as a member of the 15th Lok Sabha and from 31 May 2009 to 18 January 2011 he was the Union Cabinet Minister for Consumer Affairs, Public Distribution, Agriculture and Food. 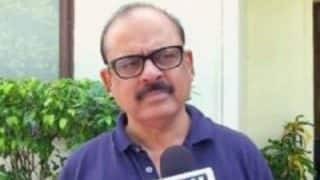 He was again made the Leader of NCP in Parliament in the Lok Sabha. 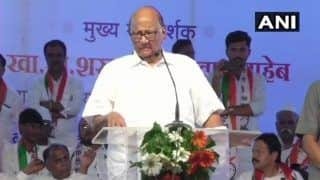 In January 2012, Pawar announced that he would not contest the 2014 Lok Sabha election to make way for younger leadership.Sharad Pawar is married to Pratibha Pawar and they have one daughter named Supriya. She is married to Sadanad Sule. Supriya Sule is currently an MP and represented Baramati in 15 Lok Sabha . 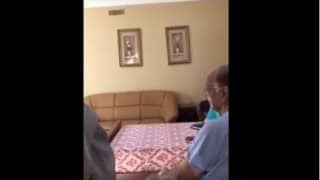 Sharad Pawar also has a nephew Ajit Pawar who is the former deputy Chief Minister of Maharashtra and currently MLA from Baramati. 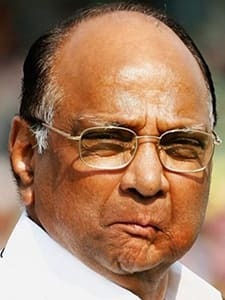 Pawar won the Outstanding Parliamentary Award in 2003 from the then President of India Pratibha Devsingh Patil . Lawrence Technological University, Southfield, Michigan, Detroit, U.S.A has bestowed him with an Honorary Doctoral Degrees in Humanities.